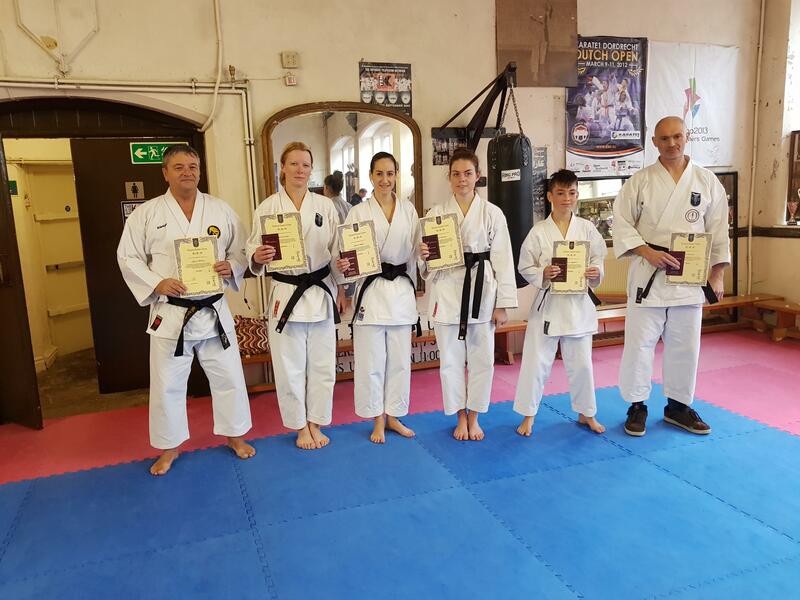 The Western Karate Union's winter dan grading took place at Bristol Dojo today. 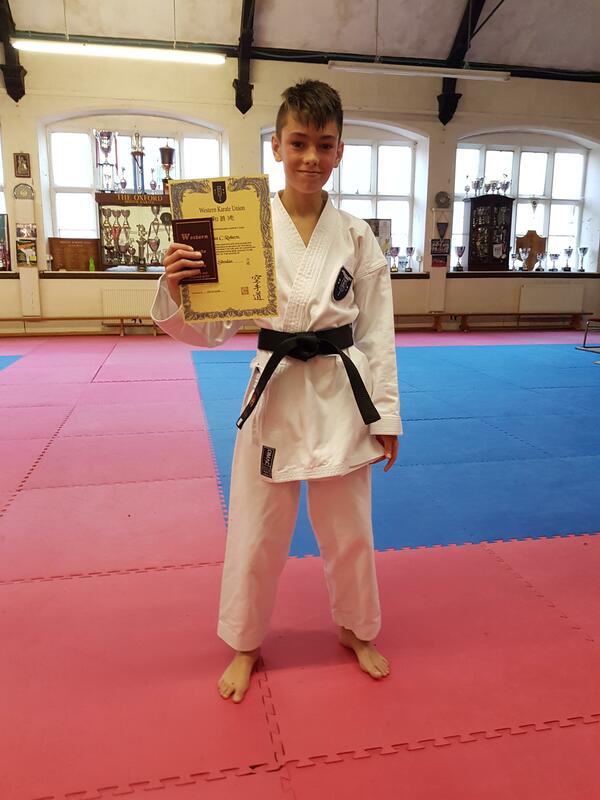 Congratulations to Charlie Roberts of South-West Shotokan, who has been training with us at Clevedon, on passing his first dan grading. Also to John Green, who was prevented from participating due to a late injury, but was awarded his second dan honorarily in any case. 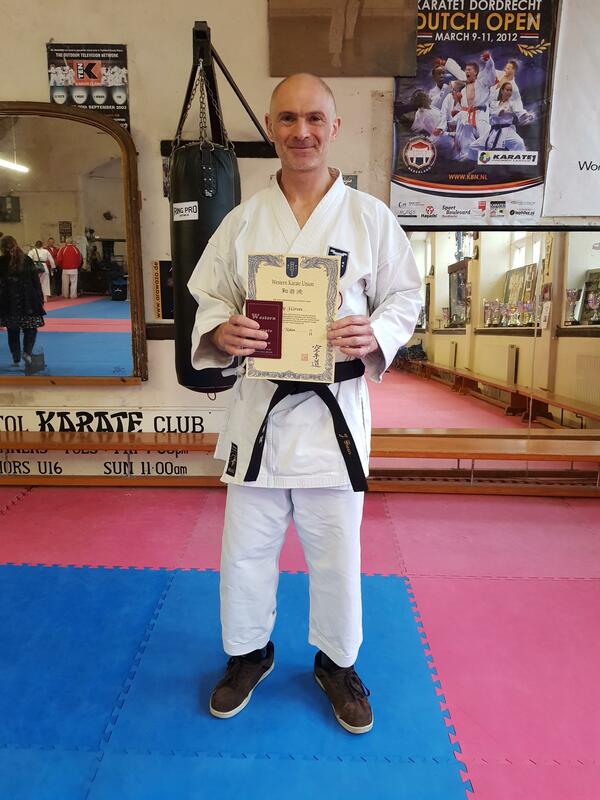 Oliver Smith from Nuffield Health also undertook the grading, but unfortunately was not successful on this occasion. We have no doubt that he will return, better and stronger, and eventually earn his black belt.